Lots of hugs and kisses are stamped into this handmade sterling silver tag (about 1.25″ long). 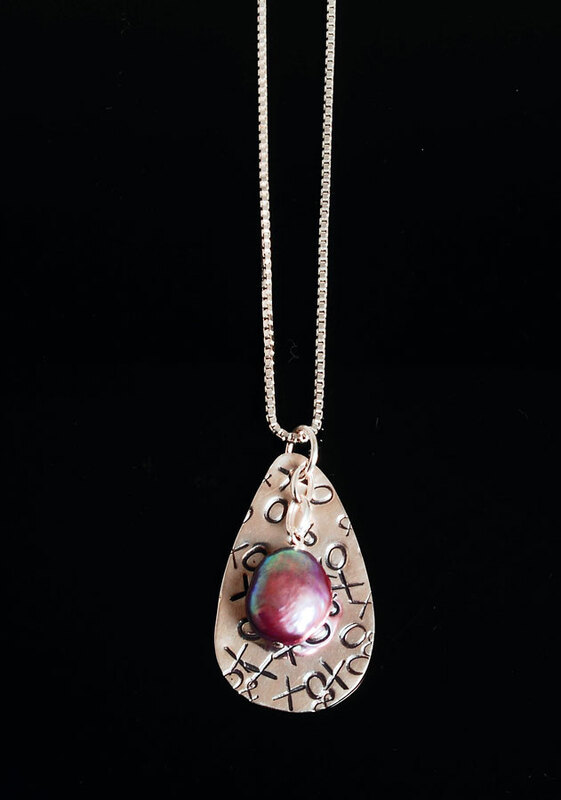 Accented by a lustrous purple coin pearl just for fun! Suspended on a 22″ sterling silver box chain.